Head & Shoulders, and Rejoice. ⦁ Jamba Juice: Until April 7, Shopee users can flash their Shopee app at selected Jamba Juice stores to get an exclusive discount on any of their four Jamba Juice Best Blend Favorites. 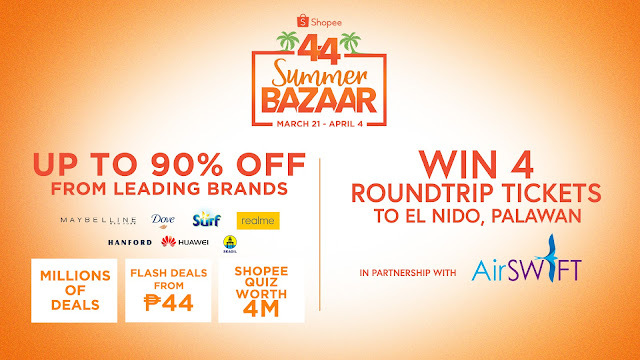 ⦁ MVP Rewards: Until April 4, Shopee users can also get an exclusive ₱100 discount from MVP Rewards by using the code MVPREWARDS44 upon checkout.